Vote your Favourite Couple in "Silver Spoon Sterling Shackles"
During the 1930s in Hong Kong, where east meets west, feminist activists started campaigning for women’s rights, seeking to uproot the phenomenon of men’s superiority over women. Though having studied abroad in England and leading a western lifestyle, CHUNG CHEUK-MAN (Damian Lau) , a well-known Chinese barrister, is very traditional indeed. As a man possessing privileges and eminence, he has five wives, including his first wife KOO SUM-LAN (Mary Hon) coming from a noble family, second wife YEE YIN (Idy Chan), who is an ex-princess of the fallen Qing dynasty, third wife YIK YEE-FONG (Elena Kong), a daughter of a banker. Being a famous Peking opera artiste, HONG CHI-KWAN (Tavia Yeung) became his fourth wife. And as his fifth wife, CHIU TAN-TAN (Jia Xiaochen) covets vanity a lot. Despite being CHEUK-MAN’s favorite among the five wives, CHI-KWAN and him do not agree with each other on elevating the social status of women. 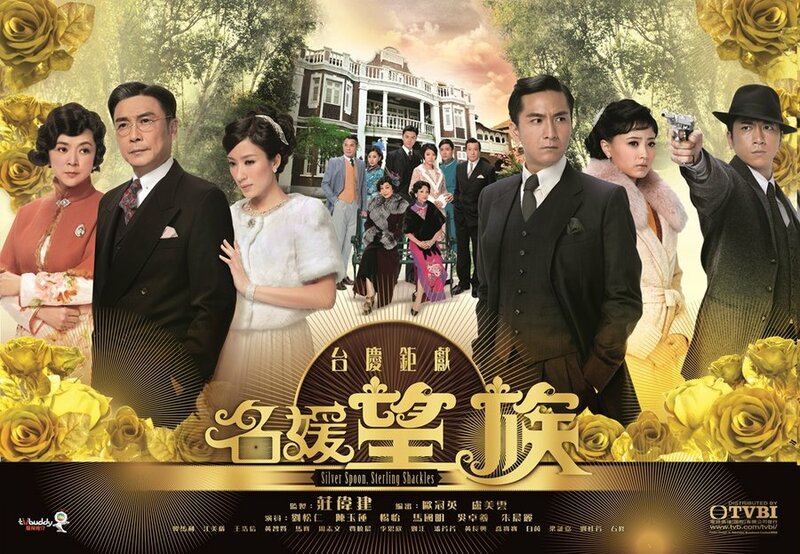 Moreover, his two sons – CHUNG KAI-SUN (Kenneth Ma) and CHUNG KAI-YIP (Vincent Wong) turn their back on their strict father respectively, while his daughter CHUNG HO-YEE (Sire Ma) marries to a poor policeman regardless of the consequences. As the intensification of the family struggles becomes more ferocious, KAM MUK-SHUI (Ron Ng) penetrates into the CHUNG family. Unwilling to compromise on the marriage of his beloved KWAI SIU-YAU (Rebecca Zhu) and the son of the CHUNG family, he seeks vengeance on them. This seemingly splendid family is in fact beginning to crack from the inside. Ooh, this sounds so… intense and complicated and so… like a TVB grand production lol. This series has been quite heavily promoted, and the cast does look promising! I only hope it turns out to be as epic as it sounds because otherwise, 40 episodes will just be such a drag! This series is kinda boring but great acting from the casts. If you’re a fan of the stars, you should watch it but don’t expect an intense storyline. So far so good gotta admit, will there be a subtheme song upload by Ron Ng available for download ?